Dr. David Hersh, M.D., Chief Clinical Officer, joined Desert AIDS Project in early 2013 as a staff Psychiatrist and accepted the position of Chief Clinical Officer in January 2016 after serving as Director of Clinical Services for the prior two years. He continues to manage a patient caseload in addition to his administrative duties. As Chief Clinical Officer, Dr. Hersh oversees the development, delivery, and integration of all medical, behavioral health, home health, social, and dental services. He also supervises Informatics & Compliance to include medical records and information technology. His primary duties consist of the development, implementation, and monitoring of policies and procedures, quality improvement, meeting goals of fiscal efficiency through billing and budget management, and leading initiatives to enhance collaboration and communication with internal and external stakeholders. Dr. Hersh has been practicing medicine for 27 years, becoming a Diplomat of the American Board of Psychiatry and Neurology in 1992. 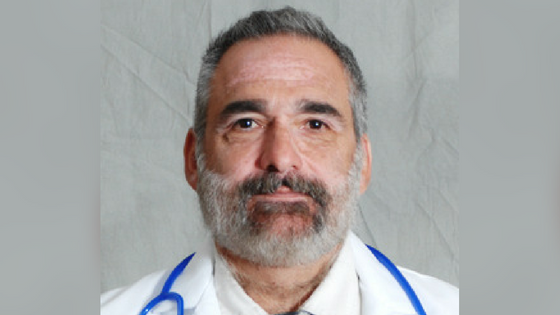 After graduation from Johns Hopkins University in Baltimore, Dr. Hersh received his medical degree from the University of Medicine & Dentistry of New Jersey – Rutgers Medical School, followed by post-doctoral work in psychiatry at the Yale University School of Medicine in New Haven, Connecticut. Dr. Hersh has been a professor of psychiatry at the University of Connecticut Health Center, and at University of California – San Francisco. Prior to his work at Desert AIDS Project, Dr. Hersh served as Medical Director of Substance-Use Treatment Services for the San Francisco Department of Public Health.